The Christmas buying rush brings out a strange sort of logic in many family and friends. It’s as if, faced with a deadline, there comes a great burning need to buy tools they don’t understand for someone they aren’t sure will be able to use them. 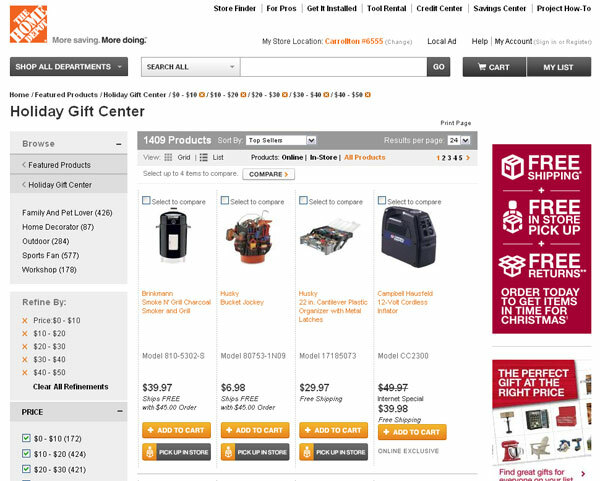 The Home Depot site will recommend actual tools if you click the last minute DIYer tab; however, if you click the “gifts for less than $50” button, the first item on the list is a charcoal grill followed by a bucket jockey. It’s not that either item is awful — either one can be handy to have, and one cooks meat, which is never a bad thing. It’s just better to take the time and ask the toolmonger on your list what it is they really want. Hell, give ’em a price range. I promise they will know, even on short notice such as the week before, what would meet all your criteria and make them happy. Now: it may look like they’ve got 30 of them already. It may look like no one could possibly make use of whatever it is — but I assure you there is a project waiting somewhere for the router jig, corner clamps, or welding gloves they asked for. Real tools always trump the endcap holiday quick-grab items. The gimmicky stuff can be useful, but getting someone a quality set of drivers or the like will always trump the gimmick. Good advice, especially when a lesser DIYer is buying for a greater DIYer. For instance, I don’t really cook and would not for a second guess as to what an avid home chef would want as a gift. When in doubt, ask. Still in doubt? Ask again. For a DIYer, getting information without actually asking is easy. Just talk to them about their latest project. Often something will come up as a nice to have. If you look around the seasonal stuff in all the box stores many of the the tool kits or “under $20” items are the kind of tools that only a grandmother would buy. The dogbone wrench is the most infamous example of this. I wish people didn’t fall for the shallow money grab with substandard stuff but it must work because they keep doing it every year. 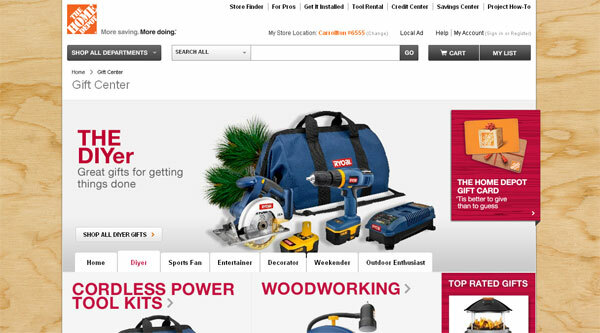 I think many of us would be much happier to find a toolbox-shaped gift card which we could put towards that sweet drill we have been lusting after. On a side note the third item on your screenshot is the cantilever parts box which happens to be a pretty sweet organization tool. I find these to be great filler gifts for the Mrs. A low cost tape measure, petite power drill, and basic screw driver set keeps her from meddling in the garage and discovering how many tools we actually own. It should be mentioned that gift receipts work great when giving tools. Takes some of the pressure off. Also: My in-laws are great tool givers, and their Christmas is this weekend. It is hard not to be excited about this.